It was my turn to make the lunch salads for Ellie and myself, I was in the mood for something simple to cook that would still be filling and tasty. The roast pepper gives us sweetness, the artichokes a bit of tang, and the mushrooms a deep savoury note. 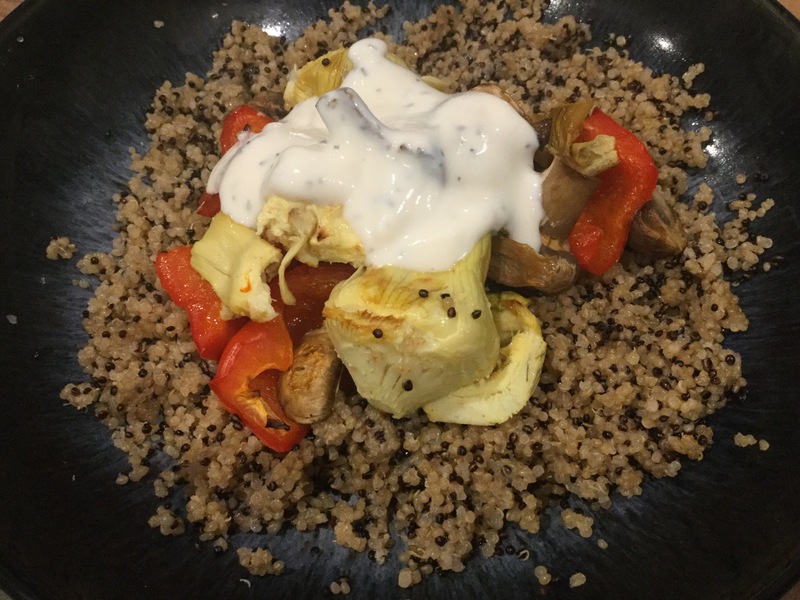 The dressing just lifts the flavours and brightens the meal. the sachet was pearl and black quinoa! I’m using tinned artichokes, and a microwave sachet of quinoa for ease! 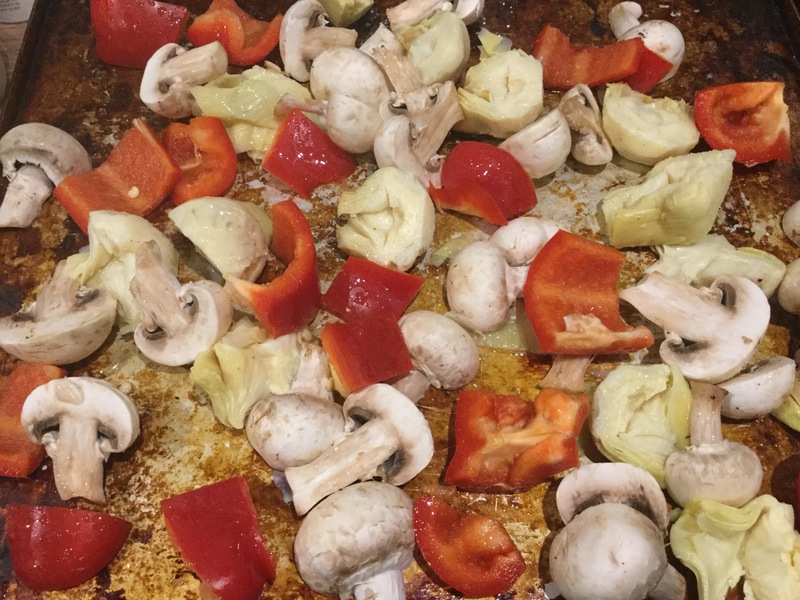 Start by getting the veg roasting, slice the mushrooms and artichoke hearts in half and cut up the pepper into rough chunks, place on a baking sheet and lightly spray with oil. Put in the oven at 200 degrees centigrade for about 35 minutes or until the peppers and artichokes are starting to develop a bit of a char and the mushrooms have shrunken and gone chewy. For the yoghurt dressing, mix together the yoghurt, lemon juice, dried mint and salt to taste, leave to stand for the flavours to meld. When the veg is done assemble all the foods together, we’ll be eating it cold tomorrow!